It has been a dramatic year, primarily from a personal standpoint, involving births and deaths. The single event with the largest impact on my life was of course the birth of our daughter, who I will spend the spring of 2015 attending to. On top of this, I have actually managed to do some research and publish some papers. First, I was one of several co-authors taking part in a large effort to improve the ITS sequence (meta-)data for identifying plant pathogenic fungi, with all results deposited in the UNITE database. Second, the extension of my bachelor’s thesis on detoxification genes in marine bacteria was finally published in BMC Genomics, after a six-year research and paper writing process. Sometimes, it takes a long time to get things finished, particularly when none of the co-authors can pay full-time attention to the manuscript. Third, I participated in a bioinformatic analysis of available data for the ITS1 and ITS2 barcoding regions, to try to better understand which perform better in which species groups, finding that ITS1 most often have better accuracy. Finally, my first work with Joakim Larsson on using metagenomics to investigate antibiotic resistance was published towards the end of the year, describing an unprecedented diversity of antibiotic resistance genes in a polluted Indian lake. On top of this I also got two papers accepted with only minor revisions required in the last weeks of the year, and I have a third in review, so 2015 is likely to get kick-started publication-wise. On top of that, I have also contributed to a EU report on effect-based monitoring tools for aquatic environments. 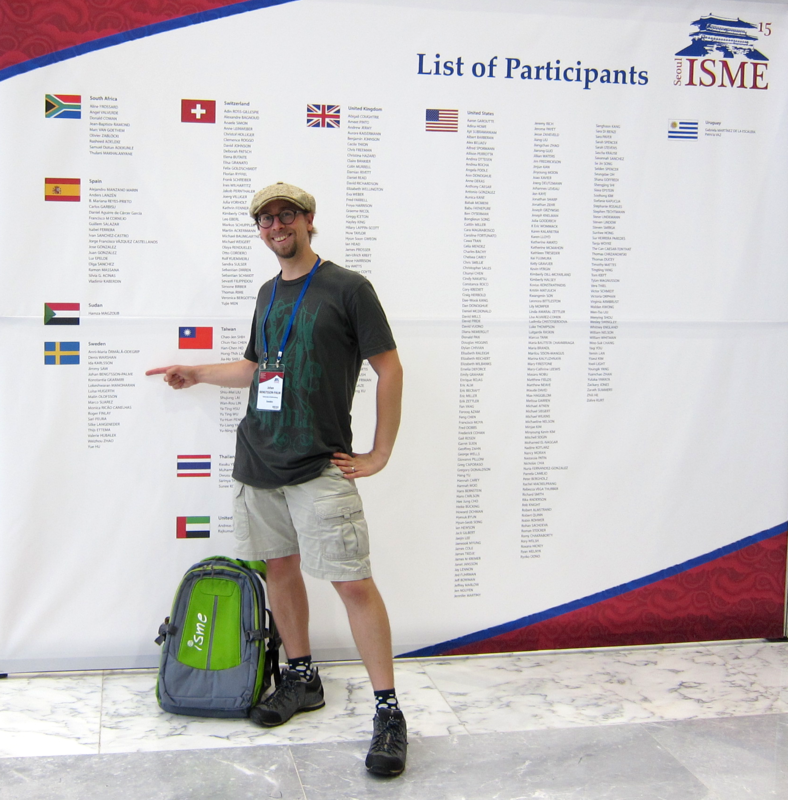 In August, I went to South Korea with my sister, partially for vacation and partially for the ISME15 congress, which was awesome. Another awesome thing was that I was in the organizing committee for the Swedish Bioinformatics Workshop in Gothenburg, held in October, which was also a great success (in my own humble opinion). Particularly, I enjoyed the workshop sessions which, according to many, resulted in very fruitful discussions. This spring, I now look forward to spend most of my time with my daughter and the little work time I have on finishing off papers. As mentioned, there are two papers already accepted with minor revisions to be made; the Metaxa2 paper that have remained in different stages of peer review since sometime last spring, and a paper describing a curated chimera-free ITS data set for chimera control. On top of that, we have a paper on antibiotic resistance gene frequencies and travel under review (but not yet accepted). To be submitted soon remains a paper on marine biofilm metagenomics, a gastric metatranscriptome paper related to Helicobacter pylori, and papers on antibiotic co-resistance. 2015 is going to be an exciting year! Reviewed manuscripts for Science of the Total Environment, GERMS and AMBIO.